The Keeled Box Turtle has three pronounced ridges on its upper shell, which give it its name. At the rear the shell, which is usually a rich brown in colour, has a serrated or scalloped edging. Like all box turtles, it has the ability to shut the front of the lower shell upwards like a box when it withdraws its head, giving extra protection from predators. It lives largely on land and its toes are only partly webbed. The males and females are best told apart by the colour of the iris, which is usually brown or black in the male but a bright red or orange in females. These turtles are quite small, reaching up to 18cm long. Keeled box turtles live on land. and have a largely plant based diet, though they do also eat worms and snails. They breed twice a year, and lay one to five eggs each time. Males can be very aggressive when courting and will often even chase and bite the female. When the young hatch, they are left to fend for themselves, which is usual in turtles. Much of this behaviour has only been observed in captivity and may not exactly reflect what takes place in the wild. Rather than living in water, the keeled box turtle is one of a group of turtle species that live in the deep leaf litter of tropical Asian forests. 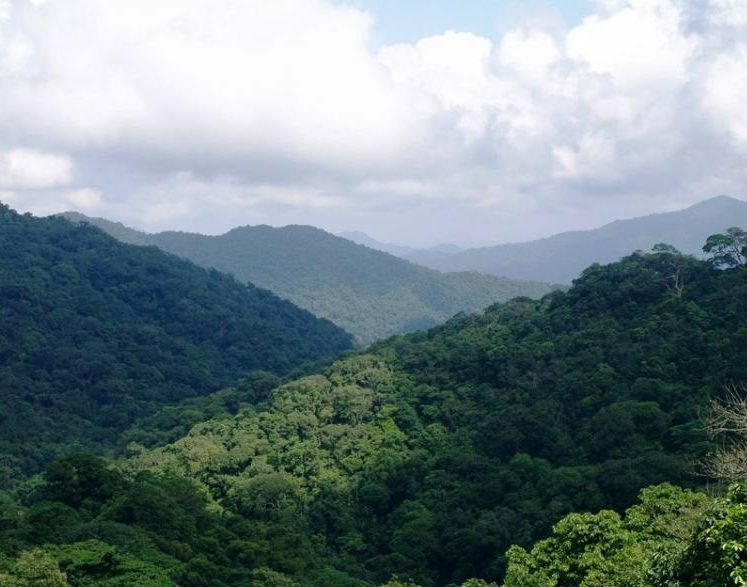 It occurs in China, North-East India, Vietnam, Lao PDR, Myanmar and Thailand, often in mountain areas. 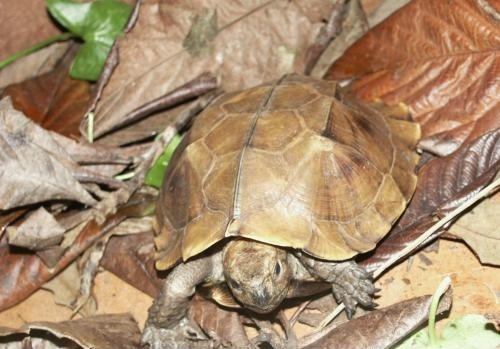 Like all the forest turtle species of this part of Asia, the most severe threat facing the Keeled Box Turtle is collection for food and for the pet trade, and the IUCN lists it as Endangered. CITES (Convention on International Trade in Endangered Species) added it in 2003 to its list of species in Appendix 2, meaning trade in it is severely restricted and monitored. However, despite legal protection over most of their range, the turtles remain financially valuable to local communities and collection continues on a scale that is stripping out entire populations. They are also very vulnerable to habitat destruction across large parts of their range. Bristol Zoo successfully hatched two Keeled Box Turtle eggs in September 2017. This was the first time that they have bred in captivity in the UK, and offers extra potential viability for the species while long term solutions are found for wild populations. IUCN Red List data for the Keeled Box Turtle Last updated 2000 and in need of further assessment. There is no distribution map.